Oscar Issac has criticised the modern tweaks George Lucas made to the original 'Star Wars' films. The 35-year-old actor, who appears as a still-to-be-named character in the eagerly-awaited 'Star Wars: Episode VII', explained he prefers an "old-school" approach to film-making as opposed to the adjustments made by Lucas, 70. He told the Huffington Post: "I'm most excited and, I know this seems nerdy, but I love the fact that [director] JJ Abrams is shooting it on film. And that's not just from an aesthetic standpoint but it's about how a movie is filmed. It changes so many things. "I mean, I've had to do things over again because there was a hair in the gate, which is so old school. But it just feels better, and movies are all about feeling, so I think that's something that I'm so very excited about." 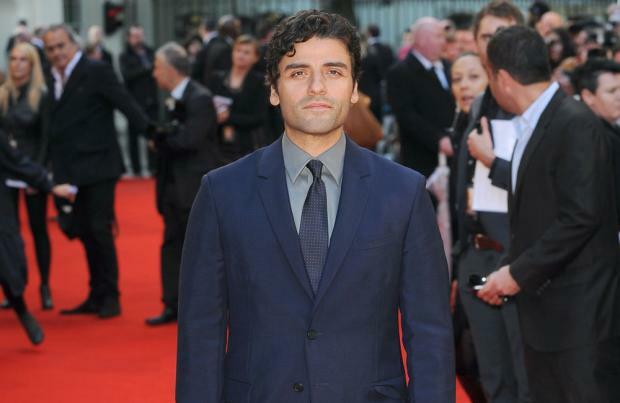 Isaac, who is best known for his lead role in 'Inside Llewyn Davis' in 2013, said as the creator of 'Star Wars', Lucas retained the right to make whatever changes he wishes. He added: "There's a part of me that appreciates that he doesn't really care if people are upset about it. He decided to share it and he wants to go back and do stuff, whatever. "But as a fan, I'd much rather go back and watch the old thing, because it's a product of the time. It's 'what did you do at the time with the things that you had?'." 'Star Wars Episode VII' is set to hit cinema screens on December 18, 2015.